Researchers estimating the amount of carbon held in the ground at the largest known carbonate-containing deposit on Mars utilized data including physical properties from THEMIS (left) and mineral information from CRISM (right). This oblique view of Gale crater shows the landing site and the mound of layered rocks that NASA's Mars Science Laboratory will investigate. The landing site is in the smooth area in front of the mound. This oblique, southward-looking view of Gale crater shows the mound of layered rocks that NASA's Mars Science Laboratory will investigate. The mission's selected landing site is just north of the mound inside the crater. 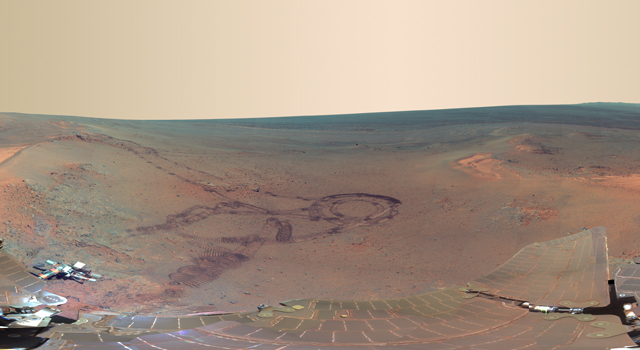 This computer-generated view depicts part of Mars at the boundary between darkness and daylight, with an area including Gale Crater beginning to catch morning light. NASA has selected Gale as the landing site for the Mars Science Laboratory mission. This computer-generated view based on multiple orbital observations shows Mars' Gale crater as if seen from an aircraft northwest of the crater. 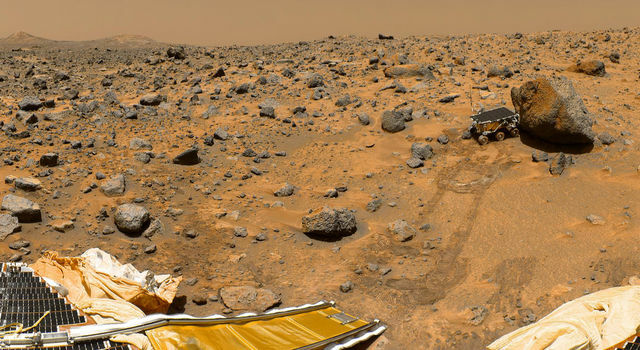 NASA has selected Gale as the landing site for the Mars Science Laboratory mission. This image superimposes Gamma-Ray Spectrometer data from NASA's Mars Odyssey orbiter onto topographic data from the laser altimeter on NASA's Mars Global Surveyor. The red arrow indicates the shield volcanoes of Elysium rise in northern Mars. The center of the red circle on this map shows where NASA's Phoenix Mars Lander eased down to the surface of Mars in an arctic region called Vastitas Borealis. Launch date makes a difference in the orientation of ellipses marking where NASA's Phoenix Mars Lander would have a high probability of landing, given the planned targeting for the spring 2008 landing site. 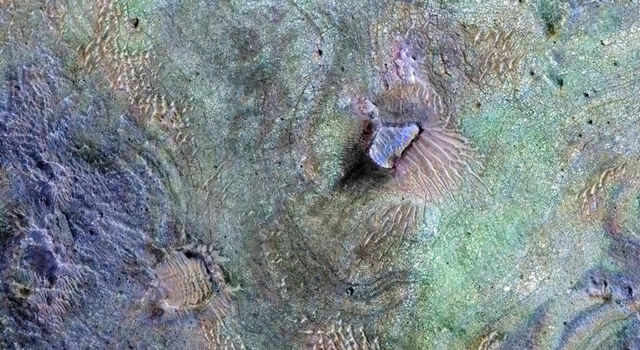 The amount of Martian atmosphere trapped by mineral formation appears inadequate to account for a warm environment when rivers cut valleys on ancient Mars.